Want to know where you can still find value in Cape Town’s property market? These are the suburbs with the lowest asking prices. In a struggling South African property market, Cape Town has been a rare success story with house price growth comfortably outstripping that of other major cities. The city’s excellent performance has been driven by a range of factors, from the semigration of upcountry buyers, better governance, a booming tourism market and employment prospects in tech, advertising, design and other creative industries. But rampant price growth has a downside – numerous reports have indicated that buyers, particularly first-time buyers, are struggling to get on the property ladder due to increasingly unaffordable property prices. FNB’s Property Sector Strategist, John Loos, notes, “The evidence of mounting Cape Town affordability challenges continues to come from our FNB Estate Agent Survey which‚ for the first two quarters of 2017‚ showed a very low estimate of first time buyer levels in the City of Cape Town". Cape Town’s estimate of first time home buyers in the first half of 2017 was just 6.64%, compared to a national average of 21%. "This affordability challenge could conceivably contribute to some strengthening in more affordable sub-regions with the metro‚" said Loos. Private Property data shows that large numbers of property shoppers are searching the more affordable suburbs for homes. 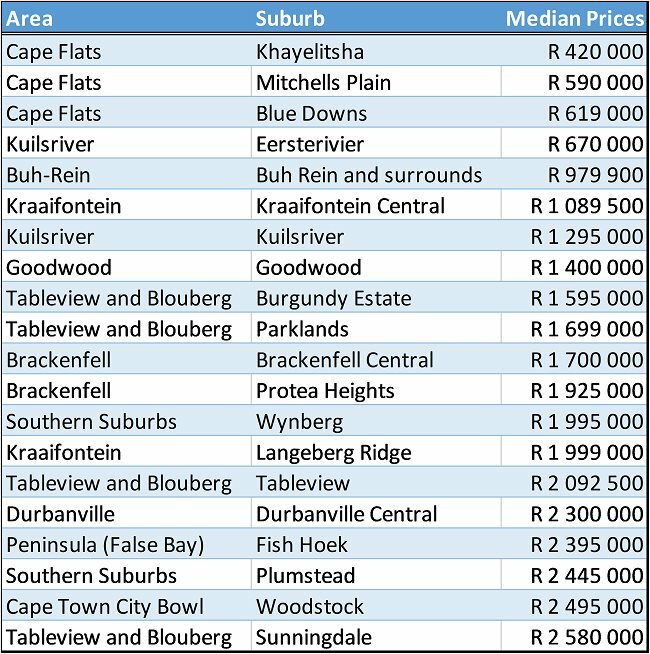 So, with affordability a major factor, which suburbs are the most affordable in terms of the lowest asking prices on PrivateProperty.co.za? Although the Cape Flats faces some socio-economic challenges, the area is popular with lower income first time buyers who want to get on the property ladder. With much of the property priced below the transfer duty threshold of R900 000, buyers need to have less cash in hand in order to buy property here. Increase in demand for property in the Cape Flats has seem house price growth (12.5% in Q2 2017) outperform many other areas in recent years. The Cape Flats has a CBD with shopping centres, transport infrastructure that includes taxis, busses, trains and the recently extended MyCiti service. There are also many schools that serve the area. This massive new development in Tygerberg is popular with first time buyers and investors. A selection of property from apartments, to freestanding homes and townhouses caters to a range of buyers and budgets. Good security, a selection of lifestyle amenities and a convenient location close to major roads increases the attraction of the suburb. Property prices in most of Cape Town’s northern suburbs have increased massively, putting them out of reach of first time buyers. Kuilsriver is one of the few remaining areas that offer value for money. The area offers a good selection of property and is close to main roads to Cape Town and Stellenbosch, making it convenient for commuters. A number of excellent schools in Kuils River and nearby Bellville, Brackenfell and Stellenbosch adds to the appeal for young families. With a good selection of reasonably-priced property, Kraaifontein, is seen as an area where middle class Capetonians can still afford to buy a home. Although the area is still affordable, demand has seen prices grow at around 13% per annum in recent years. Young buyers in particular are attracted to the area due to the excellent schools in the area, shopping centres, medical facilities and easy access to other parts of Cape Town. investors have responded to demand in the area by snapping up plots in areas like Langeberg Ridge and Langeberg Heights and developing them. Goodwood has been a firm favourite with middle-class Capetonians for a number of years now. A good selection of property at different prices attracts a diverse mix of buyers – from first time buyers to retirees. The area enjoys a central location, a wide range of amenities and excellent transport links. Consistent demand has ensured excellent price growth for those who have bought property in the area. Property on the Western Seaboard has grown in popularity as buyers have been squeezed out of the Southern Suburbs, Atlantic Seaboard and the City Bowl. It remains a relatively affordable region for middle to higher income buyers. Outstanding beaches, epic views and an appealing outdoor lifestyle are just some of the reasons for this area’s popularity. Newer suburbs like Sunningdale and Parklands have been developed to cater for the increased demand in the area. Residents have a choice of public and private schools, medical facilities and a selection of retail offering, including the Bayside Mall. Burgundy Estate is one of the affordable developments in the area. It offers modern architecture, a good mix of homes and numerous sporting facilities. This area still offers great value for money, particularly for young families and first-time buyers. Its location in the Northern Suburbs means the residents have a choice of excellent schools nearby. International and local industries located in the area offer good employment prospects, while Bracken Nature Reserve and numerous sports clubs cater for active residents. This area is favoured by young families who enjoy living within close proximity of the Boland wineland regions. Durbanville Central is known to offer first time property buyers with a number of choices including some older, more established homes, as well as apartments and townhouses. Parks, schools, shopping centres and businesses in the area ensure a well-rounded lifestyle for those who make this area their home. Property buyers who are looking for value in the Southern Suburbs are increasingly turning to areas like Wynberg and Plumstead, that they may not have previously considered. Young professionals with families are now buying property in Wynberg due to the good schools in the areas. This new demand is stimulating new development in the suburb which has an upside for property values. Plumstead is another suburb that offers buyers excellent value for money. This small established suburb is tree-lined and neat. Young professionals are buying older homes and upgrading and modernising them, which is contributing to the upliftment of the area. False Bay continues to be a popular choice with Western Cape property buyers due to the attractive coastal lifestyle and affordability. Houses and apartments in Fish Hoek are still affordable compared to other Cape Town suburbs but increased demand means prices are rising. Buyers love the convenience of Fish Hoek – everything from beaches, to shops and schools are within walking distance, and it has excellent transport links to other parts of the city. Property in most suburbs close to the CBD are now out of reach for the average middle-income buyer. Woodstock is one of the few areas where there is still value to be found for buyers, and the area is undergoing a revival of sorts with trendy retail stores, restaurants and nightspots opening in the area.. 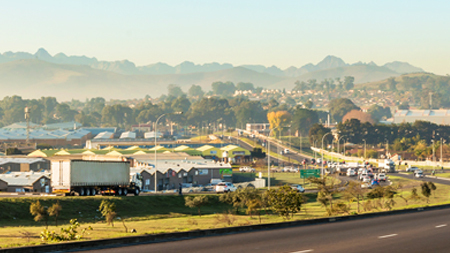 The upper parts of Woodstock are popular with young professionals who want easy access to the CBD, the N2 and public transport. Lower Woodstock is less popular but buyers are increasingly willing to buy older properties and renovate them, in order to get a foothold in the popular City Bowl property market. Some effort is also made to exclude outliers from the analysis. A feature of Private Property’s Report is that it provides insights based on current asking prices rather than the eventual sale prices of property transactions. This is an important distinction, as the two measures provide slightly different insights into the property market. Private Property’s median asking price data provides a view of all properties being offered for sale on its website. This has the advantage of including insight into many more properties than are eventually sold in each quarter. Although asking prices are usually slightly higher than sale prices, they have an advantage of being available to analyse well in advance of the eventual transactions. Care must be taken when interpreting prices of listings on Private Property’s website, as it differs from some analysis of sale prices that track individual properties as they are offered for resale over time. Living in Brackenfell area provides a feeling of closeness and security, consisting of many young families. It is a well-maintained area where your neighbours are your friends. The community has ongoing group activities that all residents can take part in. Residents care for one another and maintain the safety of their neighbourhood by working together as a team. 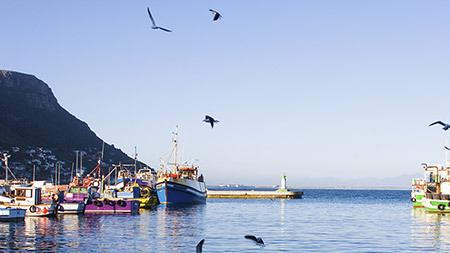 Affectionately know by residents as the “Deep South”, False Bay is a beautiful, laid-back area of Cape Town. It has incredible historical villages, beautiful scenery and nature, and some of the best beaches in Cape Town. 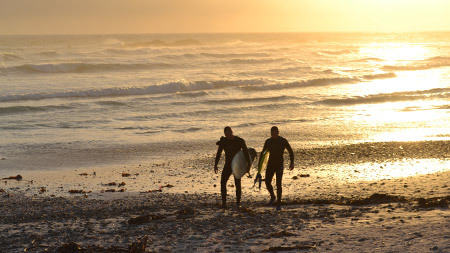 All the areas of False Bay offer a safe home for families with a sense of community. The lifestyle in the South Peninsula is slow and life moves at a relaxed pace. It's the perfect area for people scaling up, slowing down or just wanting to enjoy all the benefits of raising a family in superb natural surroundings with easy access to Cape Town.